We’re just a few days away from Father’s Day, and that means you only have a few days left to find the perfect way to celebrate dad. Sunday will be here before you know it, but you still have time to plan a great family outing that shows that special dad just how much he means to you! 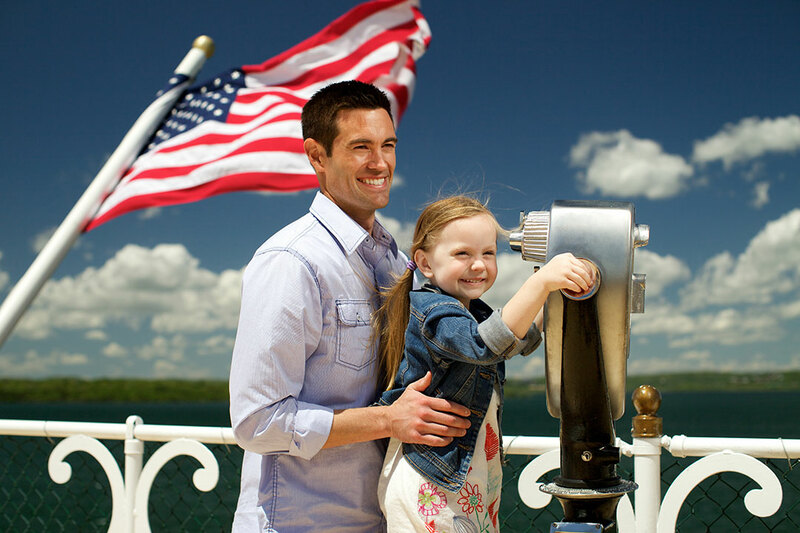 Filled with activities that are fun for the whole family, Silver Dollar City, White Water and the Showboat Branson Belle are the ultimate destinations for a Father’s Day getaway. No matter which attraction you choose, Dad will enjoy great entertainment and cherish the memories of a day filled with laughs, relaxation and quality time spent with the ones he loves the most! Here are just a few of the fun things you’ll find at each of our attractions. Silver Dollar City just kicked off its Star-Spangled Summer festival, filled with special limited-time entertainment acts that you won’t want to miss. We’re open daily from 9:30 to 7pm! Animal-loving dads will love Chris Perondi’s Stunt Dog Experience, where cute canines perform doggone amazing tricks in Red Gold Heritage Hall. Plus, he’ll love seeing the smiles on his little one’s faces as they get to meet Diggy, the show’s larger-than-life mascot, and the stunt dogs! If Dad loves music, he’ll love Rockapella. The kings of a capella music appear in the Riverfront Playhouse, where they cover songs from the 50s to today in their own signature style. These five singers don’t use any instruments — just the sounds of their own voices — to create richly textured harmonies and vocal instrumentation that will have dad singing along all day. 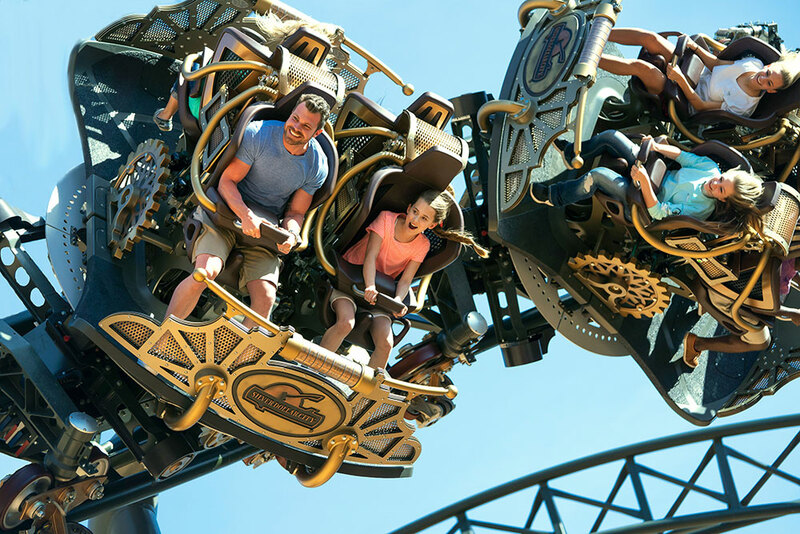 Adventurous dads will love to go for a spin on Time Traveler™, the World’s Fastest, Steepest & Tallest Spinning Coaster, and Silver Dollar City’s 40-plus thrilling rides and attractions. The Showboat Branson Belle has daily cruises all week, giving you plenty of opportunities to treat dad to an amazing time on Table Rock Lake. Every Showboat Branson Belle ticket includes a cruise, meal and stunning variety show with comedy, magic, dancing and great live music. If dad loves films, he’ll be amazed by the show’s tribute to America’s Favorite Movies. This 10-minute sequence features more than 25 classic movie soundtrack hits, complete with costume changes. And if he’s a classic rock fan, he’ll love hearing hits from Journey, The Eagles and Kansas performed by a star-studded cast, accompanied by a four-piece band. And don’t worry about dinner – the experience includes a hearty three-course meal prepared in the galley. If you really want to treat dad, consider upgrading your ticket to the Captain’s Club. These tickets let you choose your meal from a menu of crowd favorites and include preferred seating. Get a jump on your Father’s Day celebration by heading to White Water this Saturday. The water park will be open until 8pm, so you’ll have an extra two hours to enjoy 13 acres of rides and slides. Or, you can rent a private cabana so dad can relax in the shade while you experience KaPau Plummet, Kalani Towers and Ohana Falls. 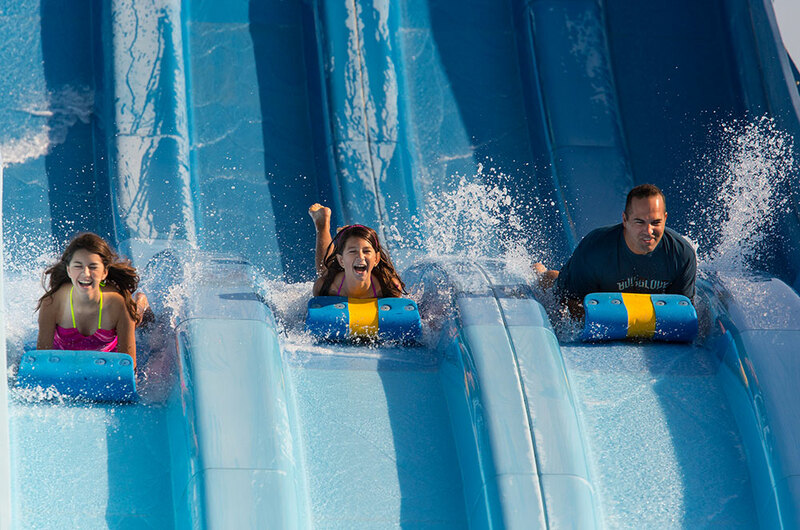 If dad is a thrillseeker, get him a Splash Pass so he can jump to the front of the line on some of his favorite rides. Then gather the whole family for smooth sailing down Aloha River at Hula Hula Bay or a relaxing dip in the Surf’s Up Wave Pool. Can’t make it on Saturday? White Water will also be open from 10am to 6pm on Sunday. We can’t wait to see your family this weekend! Looking for a great way to experience all three of these attractions with dad? Learn more about the 3-Day, 2 Park Splash & Play Ticket. Splash & Play ticket holders also receive special discounts on Showboat Branson Belle tickets, so you can visit all three attractions and save!